To Love a Rose: Happy New Year! 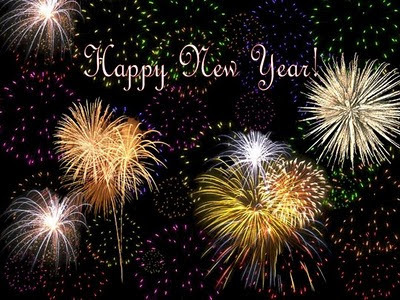 Nothing much to say today, except that I hope you have a fun and safe evening ringing in 2011! I can't believe a whole year has come and gone again. I remember being so hopeful last year around this time in so many ways, but 2010 didn't go the way I had hoped. The worst omen of all that 2010 was going to be a difficult year was the passing of my cousin, R, on new years day (January 1, 2010). My heart still aches for my aunt, uncle, cousin B, R's children, and all of the other family members left behind to grieve. Even with that fresh in my mind, I know that God has brought us through so much this year; so, that we will truly be prepared for all of the BLESSINGS he is ready to pour over us in 2011! I feel so much lighter right now than I did a year or even a few months ago. God has literally lifted the weight of pain and sorrow and suffering from me; and I am so grateful! My prayer for you is that you will have a new year that is OVER-FLOWING with all of God's greatest gifts and blessings! I hope your prayers are answered, your dreams come true, and that 2011 proves to be your best year YET! PS: What are your plans for tonight? How will you celebrate the new year's coming? Big and bright with fireworks and large crowds? Or intimate and quiet - perhaps a bottle of champagne and a comfy couch? Mr. C and I still don't have any definite plans. We could try to take in some fireworks or go check out a local band or do some fancy dinner...we just have no idea how we want this evening to go! Guess we better figure it out quickly, right? Haha!